This piece was created using cut and carved wood, oil and acrylic paint, and a frame. 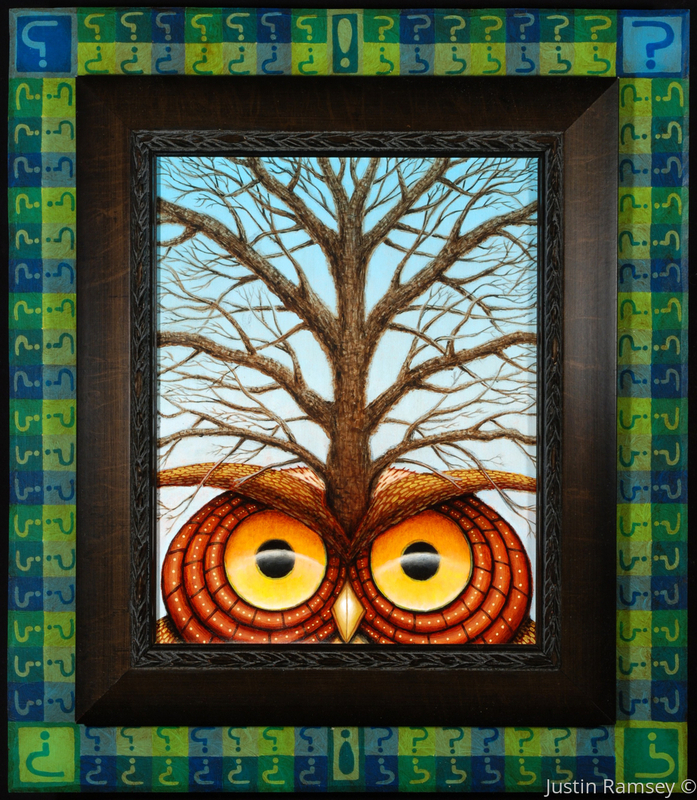 The pattern surrounding the framed owl consists of questions marks. The bare tree and its infinite branching is a metaphor for the many decisions we have before us. This understanding can be a blessing or a curse. Sylvia Plath was "paralyzed" by it in the Bell Jar. I am enlivened by the many paths we have before us. This is one of the pieces from "Destination Station" show at the Phil Mechanic Pump Gallery (River Arts District, Asheville, NC). Each piece in that show followed the title format " -ation Station" and the building sits yards away from train tracks.